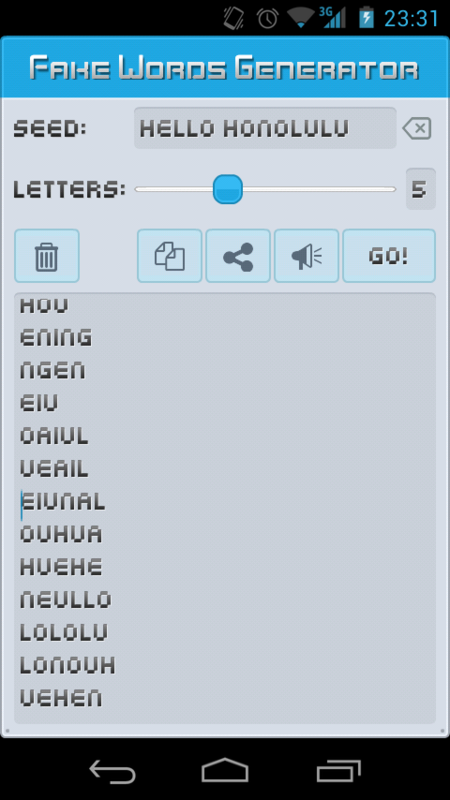 Need new fresh words outside any alphabet? 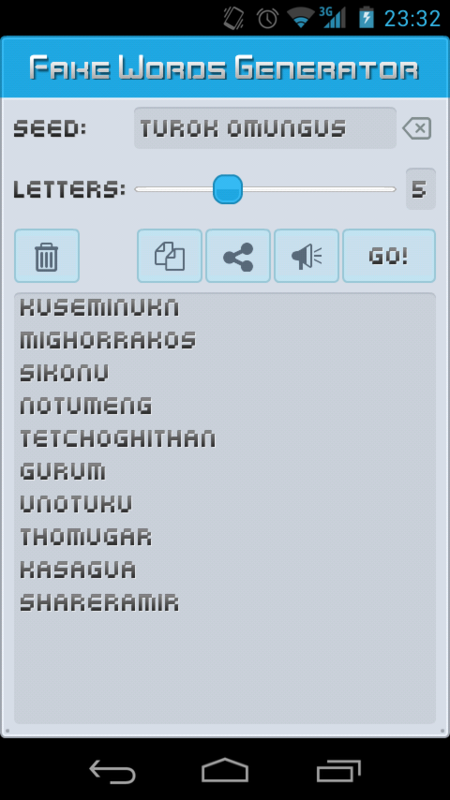 Can't find a cool name for your character or game? This is the tool you where looking for! Type words that you like how they sound in the Seed Words input. 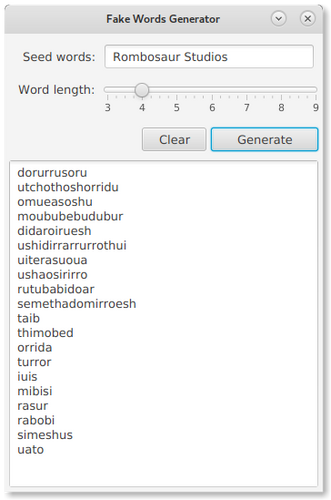 Rock the slider to the right if you want longer words to be generated. 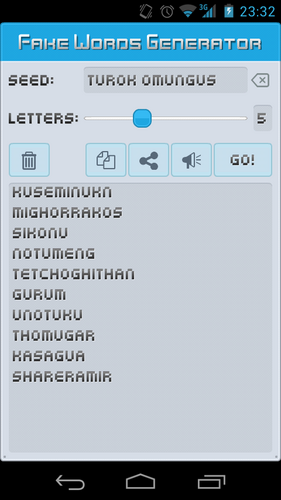 Hit "Generate" button as many times as you want. 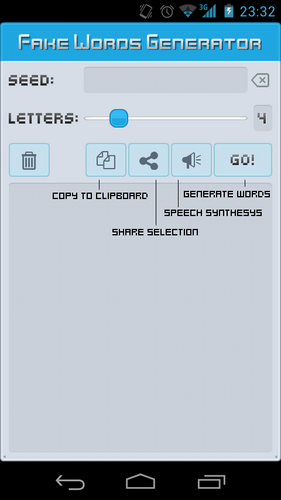 Get extra inspiration by using the speech synthesis button on the FREE Android app! 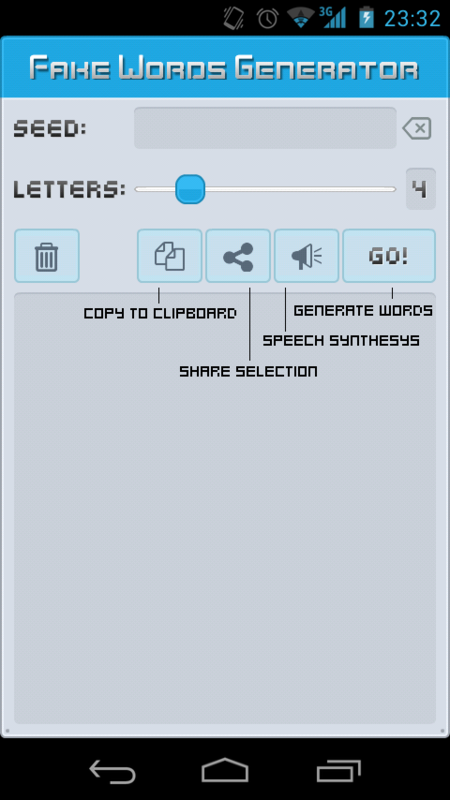 The algorithm is based upon English and Spanish word constructs; eastern European digraphs may be added in the future. Additional Notes: The "Word length" is not strict. 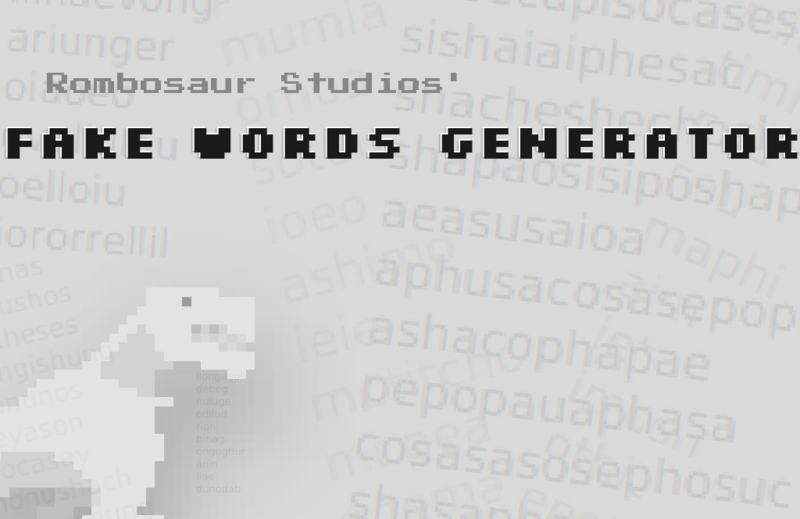 It's used as a guide for the generated words but some words might be longer. 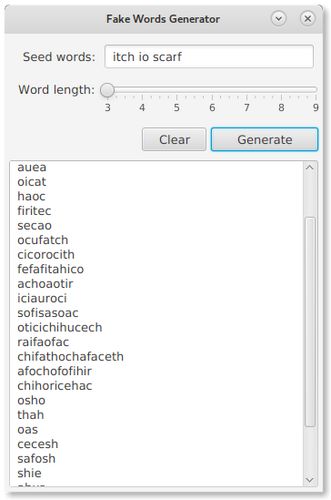 The reason for that is the word construct algorithm that identifies patterns as Spanish or English word constructs. 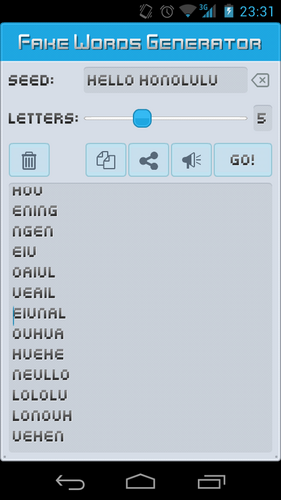 For example if you get a "qe|qi" sequence it might get replaced by "que|qui", an "r<vowel>" it might get replaced by "rr<vowel>", an "l<vowel>" by a "ll<vowel>"
Free Android version with speech synthesys added to the play store!